Eric Edmeades – How to achieve business freedom? It was a total privilege to interview Eric Edmeades. He is such an insightful, intelligent and skillful person. He is traveling the world and teaching people how to achieve real business freedom. He has the answers for everyone who wants to own an extremely successful business that gives you financial freedom and flexibility to spend more time on what really matters; your family, your health, and your life. He worked with the most influential people in the world and he helped them free themselves from their limited beliefs and achieve their full potential. We talked about his sales strategies, hiring people and the biggest problem entrepreneurs are facing. It doesn’t matter if you’re starting your business career or if you already own a business, this is the interview you need to listen! It’s not enough to be successful, what matters is that you’re happy. And happiness is not an external thing! Get the best tips to create a business that allows you to be yourself and make you happy. 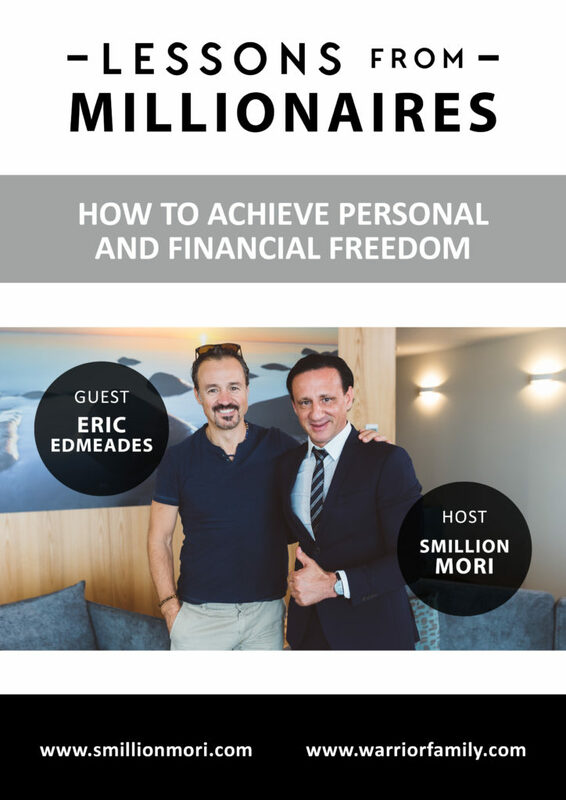 Today my special guest is serial entrepreneur, international business speaker, author, husband, father, and kitesurfer...Eric Edmeades. With a philosophy that life is very important, he is dedicated to working with business entrepreneurs like you, helping them achieve their full potential and creating truly exceptional lives for themselves, their families, and employees.